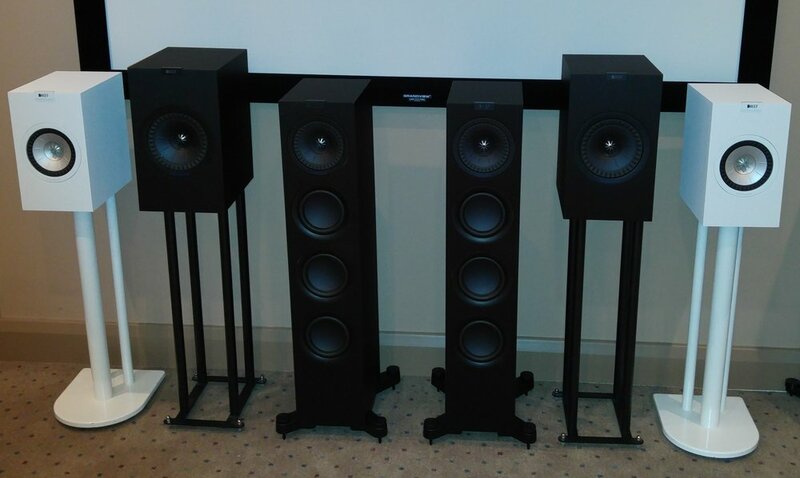 Over the past week we have been putting the new Spendor A7 speakers through their paces, and we are impressed. Visually they are still in keeping with the traditional design Spendor are known for and come in a range of pleasing finishes such as Black Ash, Dark Walnut, Natural Oak and now for a little extra Satin white. One element of the new A range that is worth mentioning, is that none of the speakers come with grilles. They are now an optional extra at differing prices depending on the model. The A7 is the biggest in the A-line range but is by no means a particularly big speaker. There are two other floorstanders in the range, in decreasing order of size they are the A4 and A2, which is a very compact and competent floor stander indeed. Last but not least is the A1 stand mounted speaker (A-line range). After 5 days of playing the A7s day and night we sat down for good listen. We paired them with a very popular Naim combination, The NAC-N272 streaming pre-amplifier and the NAP 250 DR power amplifier. We started of with Nils Lofgren ''Keith Don't Go'' from the brilliant Acoustic Live album. The A7s really brought the performance to life. We were all tapping out feet and would have been singing along but we didn't want to ruin the experience. The bottom end was big, warm and controlled allowing the vocals to soar creating loads of space around Lofgren which brought all of the emotion out of the track. After a few more tracks we changed to ''The Sound of Silence'' by Disturbed from the Immortalised album. An amazing version of the well known Simon and Garfunkel song. The powerful, rich vocals were clean and well nuanced and again with beautifully controlled bass. 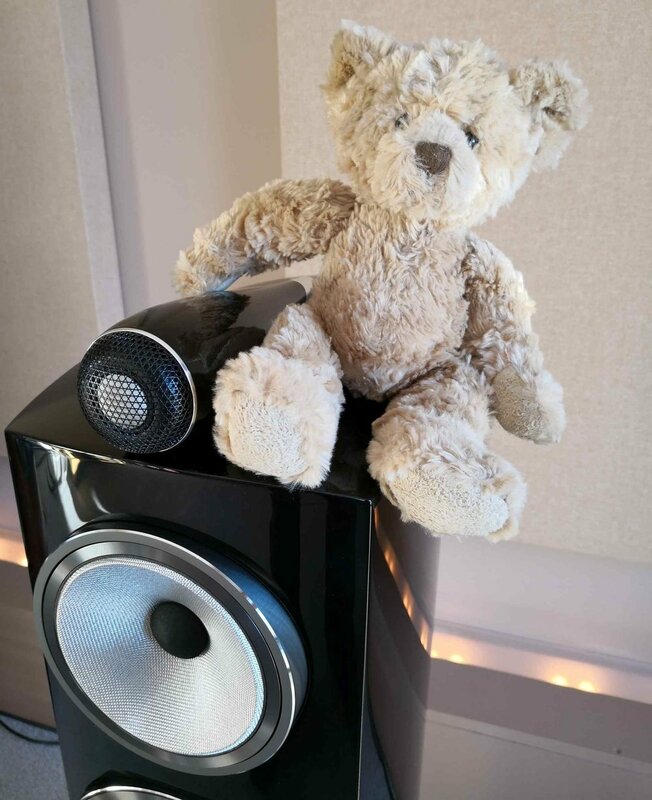 After a few more snippets of various tracks we were all in agreement that these are a serious competitor at the price and are very much in our top selection of favourite speakers. In short, the A7s like the rest of the A-line range have managed to retain the familiar sound of Spendor, but added so much more giving them greater dynamics and intricacies, a much more spacious and involving performance able to to cope with all kinds of music comfortably. 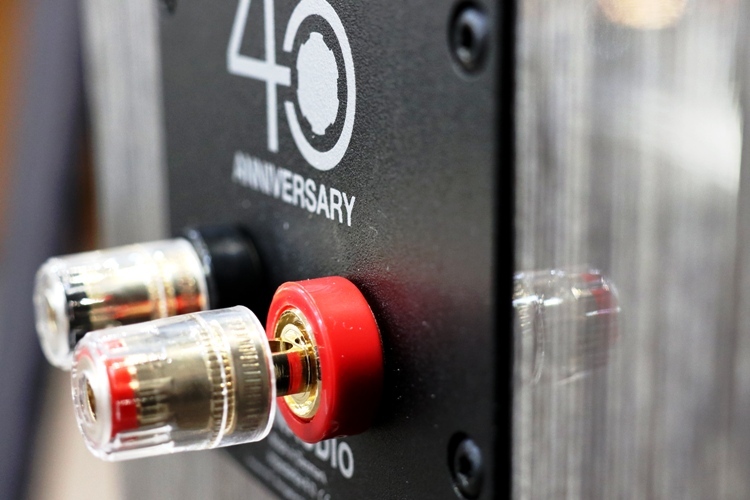 40 years have passed since Dynaudio set up shop in their HQ in Skanberg. 2017 marked their 40th anniversary and they have only gone and progressed to one of the finest manufacturers of music reproduction in the world. Progression through technology, manufacturing techniques, research and development has allowed Dynaudio to take the mantle of the best selling speakers of 2017. Here in our Manchester branch anyway. Instead of reeling of some recycled tech specs from the website, it would be better to give a true, honest opinion of the 40th anniversary Special Forty's, they are impeccable. 6 months on, nothing has changed, they are still regarded one of the most formidable stand mount bookshelves to be considered if you are in the market for a pair. Fast, agile, dynamic and driven are some of the adjectives that come to mind, with the added bonus of such a distinct premium finish leaving other competitors in the dust. The Special Forty's have a Trapezium shaped cabinet, primarily for strength and to reduce standing waves. Layered MDF then cross cut to give a layered look to the cabinet. The new Esotar Forty tweeter has been refined and remastered featuring improvements with DSR, new tweaked air flow within the tweeter, 3000 HZ roll to have ample rollover between the tweeter and the woofer leaves a lovely sweeping roll off between the mids and highs. A new refined dampening material has been used, DSR coating applied to the tweeter to give their tweeters the signature sound. 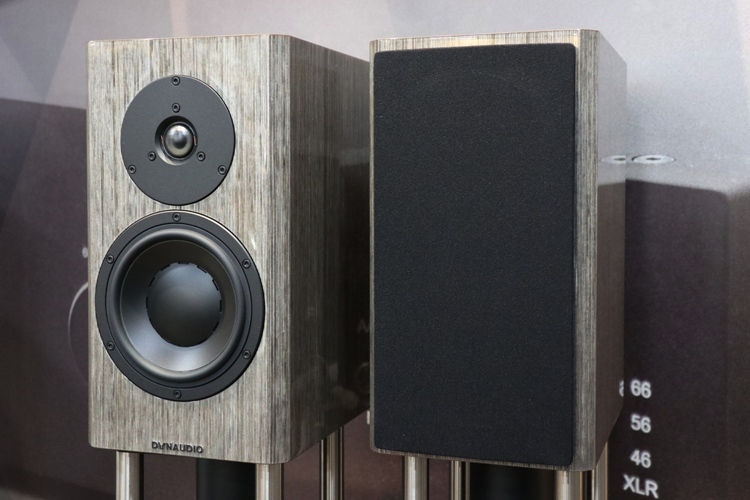 Dynaudio have redesigned the cavity behind the tweeter, by having a refined port for the tweeter has reduced unwanted pressure build up behind the tweeter. 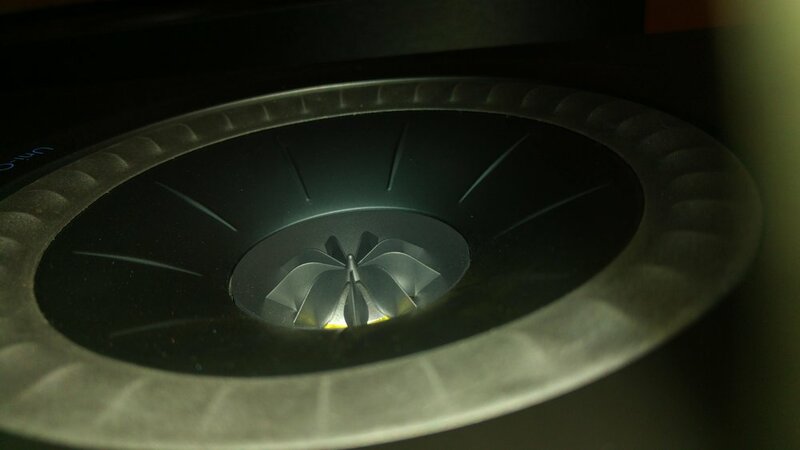 Here at Manchester and Cardiff we have come to the conclusion that Dynaudio have done something “special”. Created an amazing sounding speaker, using hand crafted techniques, with an exquisite look and finish, all at a very respectable price point. Even somebody not into “Hi-Fi” cannot fault what Dynaudio have achieved, and just to enforce that opinion, (such are the hardships of a hi-fi salesman) all the staff at Audio T Manchester always look forward to the next demo in our dem room just so that we sit in with the customers and enjoy the Dynaudio "very" Special Forty. Feel free to watch the short promotional video below on the Special Forty's shot right here in our Manchester branch. Hopefully we will see you enthusiasts in store soon, where you can hear these incredible standmounts. Bye for now from Dave, Munir, Mike, Simon and Haden. 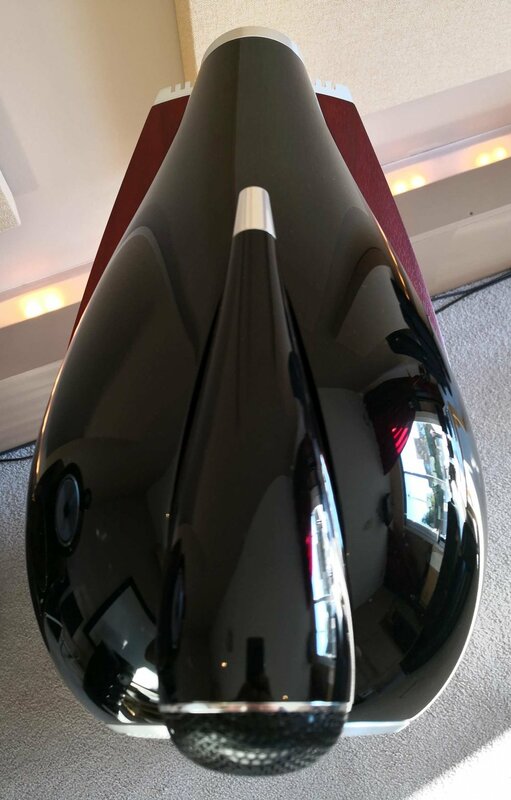 The Bowers and Wilkins 800 series has always been a leading light in high end speaker manufacture. 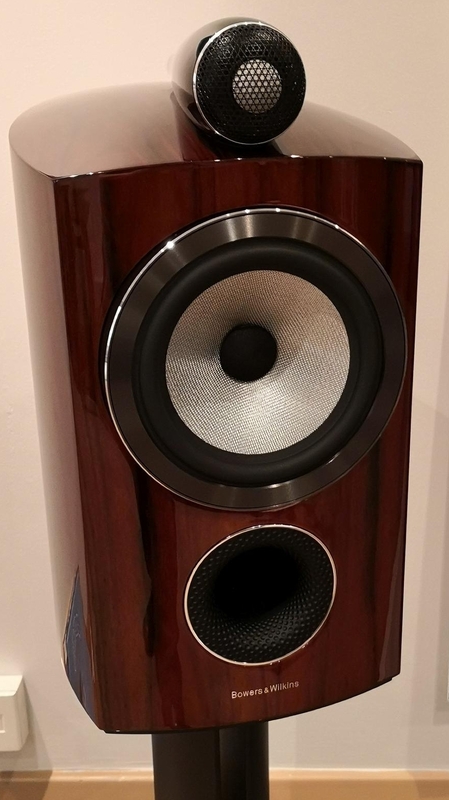 In this month’s blog we thought we would whet your appetite for a high quality stand mount loudspeaker and take a closer look at entry point of their flagship 800 series, the B&W 805D3. Let’s get stuck into the nitty gritty of what makes these small but impressive stand mount speakers sing! As the world’s only diamond equipped stand mount loudspeaker the 805D3 is packed with cutting-edge technology. The 2 way vented box design delivers phenomenal performance. 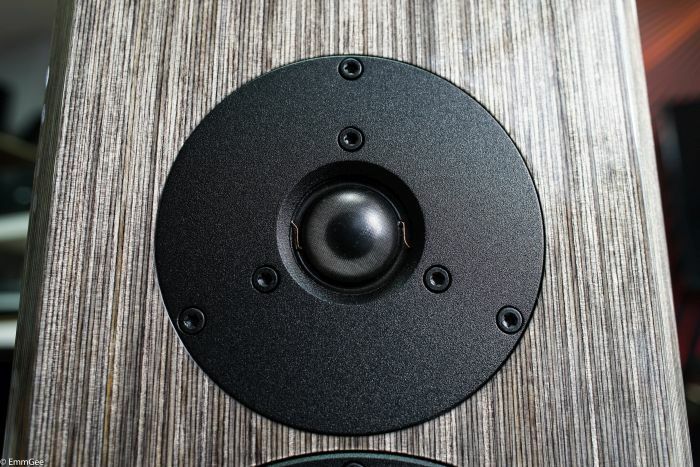 The diamond dome tweeter is encased in a solid aluminium body and just like the predecessors to the 805D3 it has that unmistakable look with the tweeter separated and situated on top of the cabinet. This separates it from the main cabinet allowing for a spacious and lifelike reproduction of the music. The B&W 805D3 diamond dome tweeter is now complimented by the new Continuum cone bass midrange driver. Eight years down the line of research and we have a progression, or a “continuation” of the well known yellow woven Aramid Fibre drive unit found in the older 800 diamond series. The new Continuum cone delivers a pristine midrange and bass performance and the new technology has been designed to eliminate the break up behaviour that can really affect the response in this part of the frequency spectrum. We would like to elaborate more on the continuum technology but B&W are keeping their cards close to their chest on this one. 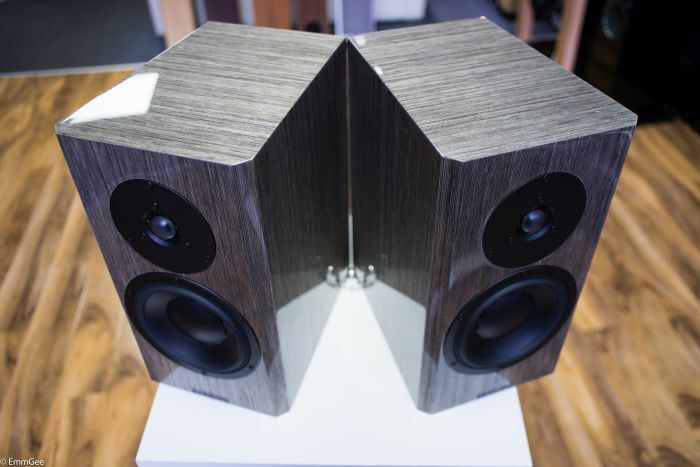 The revised cabinet for these small but impressive loudspeakers are described as a metal-reinforced Matrix. This structure provides incredible internal bracing ensuring that the sound we hear is produced by the drivers and not influenced by the cabinet. 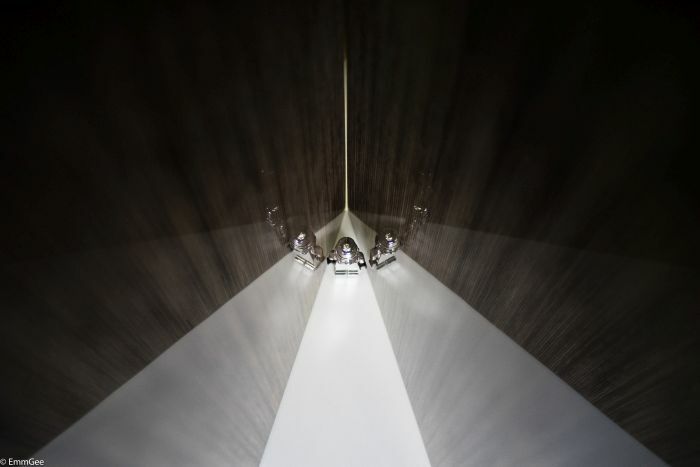 The cabinet construction consists of layers of wood ply with metal reinforcement. This construction teamed with the curve of the cabinet makes for an incredibly rigid platform for the bass mid-range driver to operate. The 805D3 cabinets are available in three finishes, gloss black, satin white and rosenut, which are featured in these pictures. What do they sound like I hear you cry! Well, we have been getting to grips with the 805D3 since they arrived at Audio T Cardiff this summer. They definitely need a good amplifier to keep control of them. The combinations we most like is on the end of a Naim NAP300DR which offers plenty of grunt and a smooth but upfront presentation. However, the NAP250DR and NAP200DR have what it takes to keep them under control. 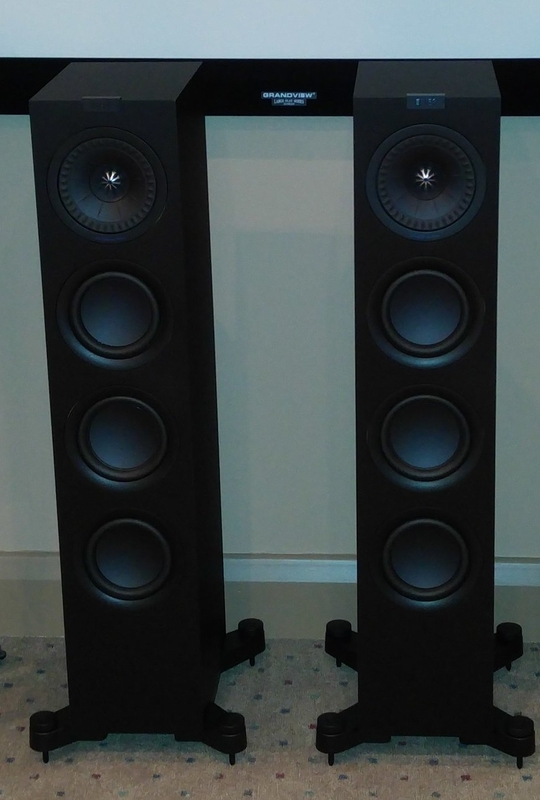 The midrange frequency performance is stunning and you can kick back and listen to these loudspeakers all day long. At this level of speaker things can sometimes sound too clinical and the detailed presentation can lack musicality. The 805D3 does not have this problem. The mid range and treble performance is spatial, transparent and full of the accurate details we have come to expect from Bowers and Wilkins 800 diamond series. Team the B&W 805D3 up with the FS-805 stand and you have the basis for a world leading stand mount loudspeaker. You have probably seen the recent release of the new Naim UNITI range, such as the ATOM, STAR and NOVA. Well, a demonstration of any of these streaming amplifiers is a must with the 805D3 before making your final decision on what to partner them with. In their own words, "B&W have been dedicated to helping listeners get closer to the music they love for 51 years." 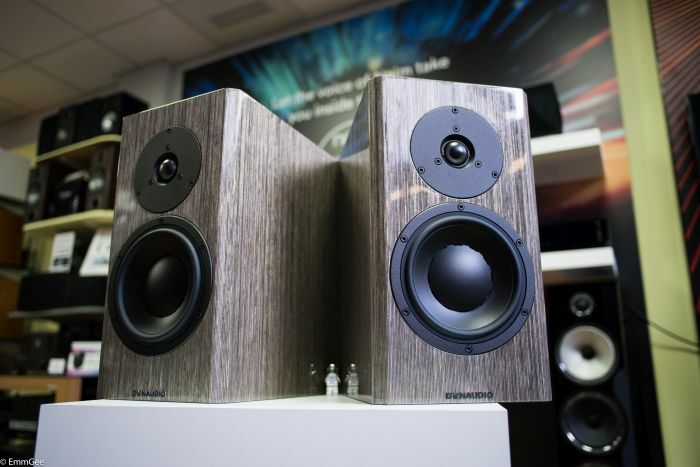 All of the 800D3 series are designed and hand built in the Bowers & Wilkins factory in Worthing in the UK. Bowers & Wilkins have kindly invited us to their factory in January 2018 so we can bring you first hand information on the design and manufacture of the 800D3 series. We will be showcasing the 800D3 range at an event in Cardiff in early 2018, so keep your ear to our blog for details of the date and location for this event. Visit us at Audio T Oxford on Saturday 9th December (1100 - 1730) to hear the amazing Dynaudio Focus 60XD and 20XD Loudspeakers. We will also have a representative from Dynaudio to answer any questions you may have. The Dynaudios Focus XD Active Speakers redefine the high-end loudspeaker and high-end audio system: The perfect combination of a high end loudspeakers and high performance digital amplification. The great benefit of active speakers is that the built-in amplifier helps streamline a system: you just connect source components (Record Player, CD Player, Streamer) directly to the digital or analog inputs on the speakers and press play. Full 24/192 operation with the Focus XDs requires a digital cable connection from a source to one speaker, and a second cable run from that speaker’s digital output to the second speaker. Then you are up and running, it is as simple as that. Another huge bonus, is they have settings for freestanding, wall and corner positions, using their advanced onboard Digital Signal Processor (DSP) to adjust the bass output accordingly or just to personal taste. 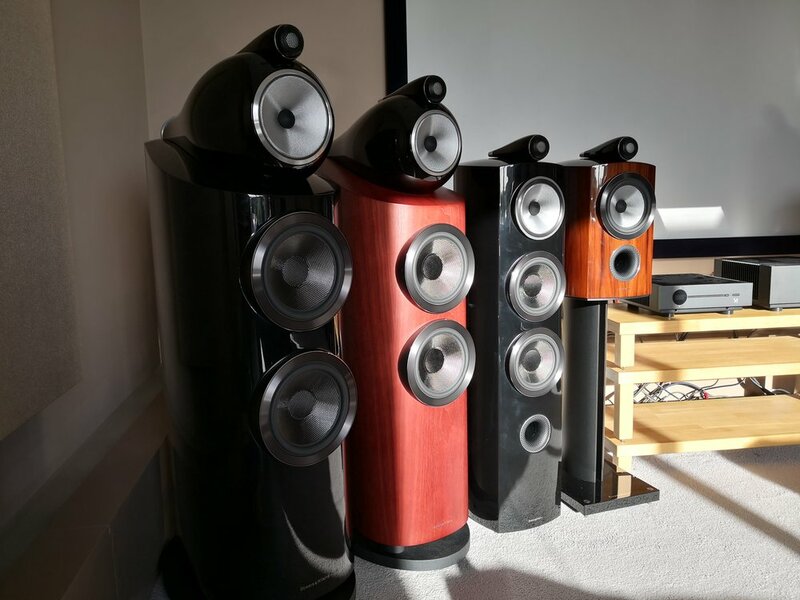 We think they are absolutely stunning, and would love to show you the amazing performance and benefits of having such a speaker in your own Home system. Attendees have the chance to win two IsoTek Premier Mains Lead worth £230 and those that are interested in buying Dynaudio equipment can save 15% OFF on the day! Refreshments and snacks will be provided and of course we will be more than happy to answer any questions you have. You can reserve your place here. We look forward to seeing you and enjoying your company and the music together. Jon, Dom and Paddy.